I’ve skipped a few deliveries, mostly because blogging about more soup and roast veggies didn’t seem that exciting. I think last week I actually made my roast veggies into soup. 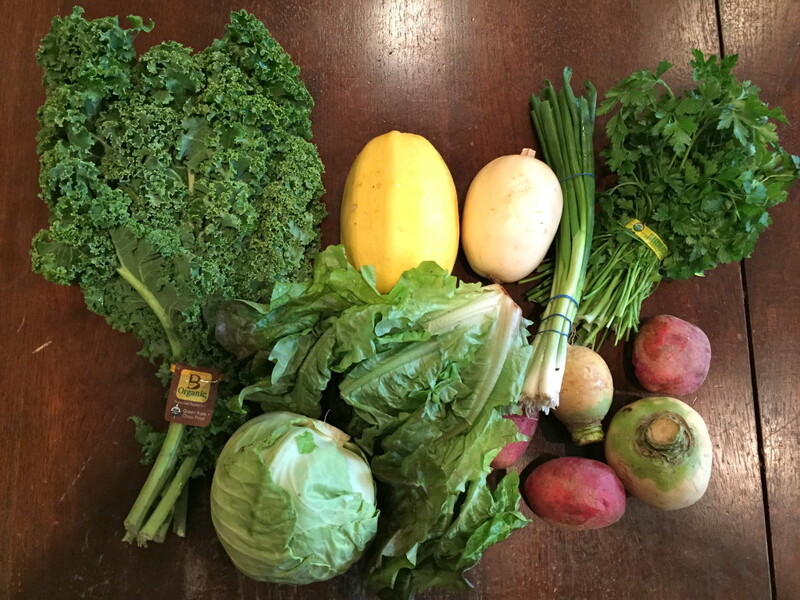 Kale, Cabbage, Lettuce, Spagetti Squash, Scallions, Turnips, Potatoes, Parsley. 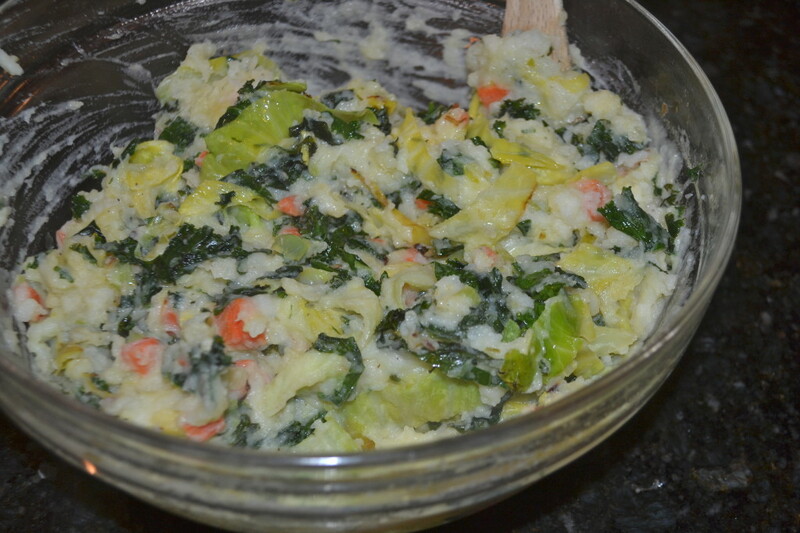 I combined cabbage, turnips, scallions, and potatoes and half the kale together for what could loosely be called Colcannon. I remembered eating it often at Irish pubs with my Irish roommate when I lived in Hong Kong. She craved it like an American craves cheeseburgers. Also in there, carrot, butter and milk. 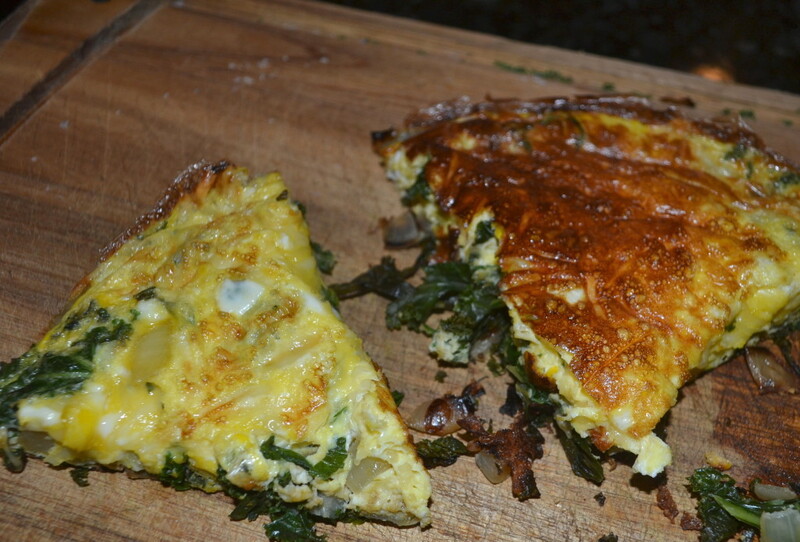 The other half of the kale was used in a frittata for breakfast. 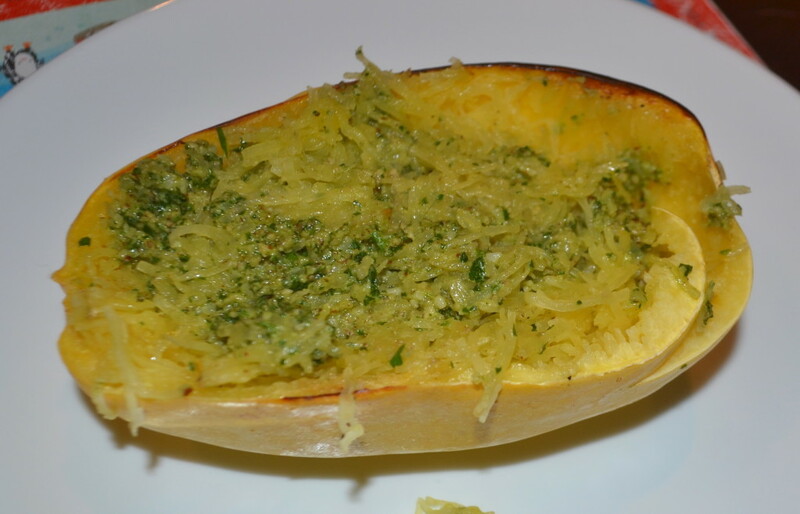 The spagetti squash was combined with the parsley in a recipe I found on food network: Spagetti Squash with Parsley and Pecan Pesto. Delicious.